Filmmaker Meghna Gulzar recently took to Twitter to release three posters of her upcoming film Raazi, which stars Alia Bhatt and Vicky Kaushal in pivotal roles. Raazi will hit the theatres everywhere on May 11 this year. Alia Bhatt is all set to dominate the box office with her upcoming film Raazi. Raazi is directed by Meghna Gulzar. 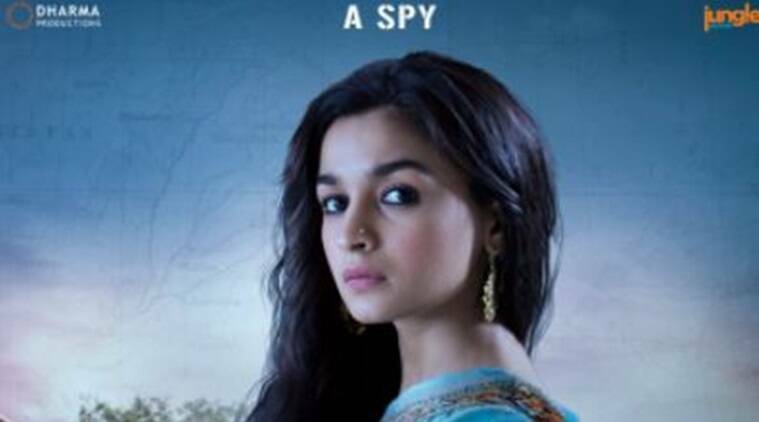 The film will see Alia portraying an Indian spy who is married to a Pakistani officer, played by Vicky Kausal. A 40-second-long teaser of Raazi was recently released where Alia Bhatt’s character called Sehmat was seen answering a call about some kind of undercover operation. And now the makers have released three posters of the film, featuring Alia, Vicky Kaushal, and Ranjit Kapoor. All the posters featured shades of blue, therefore setting the mood of the film as intense and atmospheric. A secret and a mystery. Raazi will hit screens everywhere on May 11, 2018.